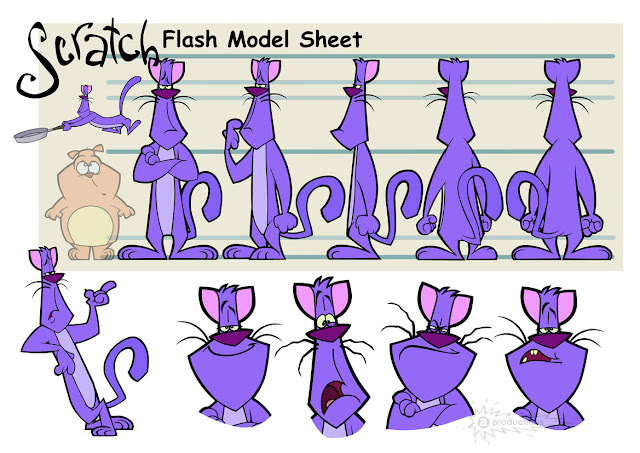 Here is a model sheet for Scratch to show the turn around and some facial expressions. This would be used as a quick guide to show the animators how the character looks. He looks a little different in Flash than his 2D version. Looks like a fun project, though. Yes nice spot. He was originally designed by the same team as Rubbish. And for this Flash update he was kept faithful to his 2D designs.